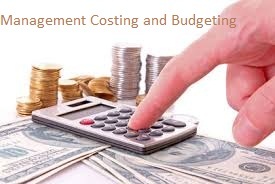 Unit 9 management accounting costing and budgetingassignment helps you in providing an in-depth knowledge about different costs involved in a running business. By going through this, students will able to know what are the tools or techniques followed by the business to analyze the cost and prepare the cost reports of the organization. The problem solving assignments also help them in understanding and taking different decisions related to costing and budgeting. Every organization follows the cost structure involved in the business in order to reach the goals and run the business successfully. For this the organization needs to understand and classify different cost under different overheads and also specific needs to pay interest in making different cost reports and budgets of the business process. Here we have taken into consideration the manufacturing unit of Buccaneers Ltd. in our case study. Below mentioned is the classification of costs based on information related to Buccaneers Ltd (Farr, 2011). Before going to the types of cost let us understand what cost actually is. The word cost denotes the real amount of money that a company spends on the creation of goods and services which include expenditure on raw materials, equipments, supplies, services, labour, products, etc. Based on these elements cost can be divided into Product cost and Period cost. Product cost – These are cost of manufacturing the product. Period cost – These involve the costs apart from the manufacturing cost which are charged to or written off to income statement during different periods. Direct Material – These are the cost which is incurred during manufacturing of a product, such as directly on raw-materials. Example, cost incurred on plywood, fabric for textile, wooden battens, steel for almirah etc. Direct Labour – These are production or service labour that are assigned to a specific production or cost centre. Example, drillers, painters, sawyers, assemblers, etc. Direct Expenses – According to IAS 2(International Accounting Standards) direct expenses is a part of the cost structure. These are those expenses which are incurred on a product for either improving their quality or design. Example, special machinery is bought to upgrade the style of tables and chairs (Farr, 2011). Product Cost = Prime Cost + Overheads. Indirect Material – The costs which have not been included in direct material will come under indirect material. Indirect Labour – The cost of labour which are indirectly associated with the manufacturing are indirect labour cost. Example, managers, supervisors, technicians’ cleaners, etc. Indirect Expenses – The indirect expenses mainly involves the factory cost. Example, depreciation on machinery, electricity cost, rent, telephone bill, council tax, insurance, etc. These basically include the Overhead costs. Period cost-Period cost is the cost that includes Administrative cost, Selling and Distribution cost and Finance cost. Administrative cost – These are the cost which includes the administrative expenses of the organization. The administrative cost includes salaries of employees, office rent, Council tax, water cost, telephone bill, etc (Farr, 2011). Selling and Distribution cost – These are the costs incurred for making products qualify for selling and several distribution activities undertaken. These cost includes cost of advertising, market research, survey, salaries, bonus, etc. Finance cost – These costs are those which are associated with permanent, long-term and short-term finance. This cost includes dividend, interest, long term and short term loans, etc. Based on behaviour:Based on behaviour the costs are divided into 3 types they are fixed cost, variable cost, and semi variable cost. Fixed costs: The cost that remains constant even if the activities of business changes. It does not have any effect on production level (Underwood, 2006). Variable costs: These are costs which will vary according to the production level of the Buccaneers Ltd (Czopek, 2004). Semi variable costs: The costs which have both the characteristics like fixed and variable costs. Based on controllability:Based on controllability the costs are divided into 2 types one is controllable which is controllable by the business management and another which is not controllable by the management. Based on time:Based on timing the costs are classified into 2 types one is historical costs and Predetermined cost. Historical costs: The cost which is prepared in past and followed by present. Predetermined cost:The cost which is prepared in advance for future purpose (Rouwendal, 2012). Job costing:This method is followed by the industry having different types of jobs and cost of each job can be calculated by this method. For example, a builder who provides service to householders, factory owner, shop owner, etc (Lucey, 2002). Contract costing:This method is used to calculate the cost of specific venture or contract like cost incurred in building bridges, buildings etc. Process costing:This method is used by the organization which follows different process in order to make the finished products. For example in textile industries to make finished product (cloth) they follow different process like spinning, weaving, colouring, folding etc. so the cost can be separately calculate by this product (Harris, 1995). Service costing:This method is suitable for the service oriented business. For this separate costing method is formulated for the benefits of the service organization (Baum, 2013). In case of Buccaneers Ltd. Job costing method has been used to ascertain the cost of the specific job given in this case study. Marginal costing:This technique is used by the organization when it wants to produce any extra unit. According to this method variable cost is charged on the individual product and fixed cost will be written off in the income statement of the organization (Harris, 1995). Marginal Cost = Fixed Cost + Variable Cost. Absorption costing: Absorption accounting is a part of management accounting cost method. It is the manufacturing cost which is absorbed by the units produced. This cost can be fixed or variable which are apportioned to different cost centres where they are accounted for absorption rates (Rouwendal, 2012). By using this method cost incurred is recovered from the selling price of goods and or services. This technique includes cost related to the production and which are directly charged to the products and services. As per assignment absorption costing has to be used to find out the solution to the problem of Buccaneers Ltd.